The BIG YES SOCIETY DISCUSSION GROUP will discuss Wishes fulfilled: Mastering the Art of Manifesting by Dr. Wayne W. Dyer. WAYNE W. DYER, PH.D., was an internationally renowned author and speaker in the field of self-development. He was the author of over 30 books, created many audio programs and videos, and appeared on thousands of television and radio shows. 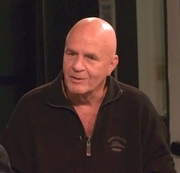 Wayne Dyer is currently considered a "single author." If one or more works are by a distinct, homonymous authors, go ahead and split the author. Wayne Dyer is composed of 24 names. You can examine and separate out names.